The Doubletree Hotel in Pikesville, Maryland hosted a celebration of ten years since the inauguration of the AED project, a program established by Baltimore’s Project Ezra and the Chesed Fund. Speaking at the celebration was Frank Storch, overseer of the Chesed Fund. 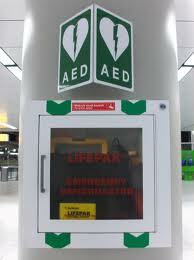 “Thousands of lives each year would be saved if more defibrillators were placed throughout the country. We, as the Jewish Nation, value life tremendously. The Automated External Defibrillator (AED) Program shows achdus, unity, and our commitment to help all Jewish people, regardless of their affiliations,” Frank Storch said.